From 1968 to 1972, the United States sent a handful of men to the Moon. Twelve of them actually got to walk on it. Since then, nobody has been back. As the years passed, much of what those men did while they were up there has either been forgotten by an uninterested general public, or ignored by people who didn’t really care in the first place. Most people know that Neil Armstrong was the first to actually walk on the Moon, and many can even recite the famous words that followed his first step. And thanks to the popular movie, many are familiar with the fate of the Apollo 13 mission, which miraculously made it back to Earth after an on-board explosion. However, there are still tons of interesting facts about the things these men said and did during their historic journeys. Here a few of the more obscure ones for enthusiasts and casual fans alike. One of the iconic images of the first lunar landing is that of Buzz Aldrin standing next to an American flag. However, the sad fate of that flag was that it was knocked over a few hours later when he and Neil Armstrong took off to head back to the command module. After Aldrin hit the button to fire the rocket, he looked out the window and watched as the rocket blast blew everything away, including the famous flag. 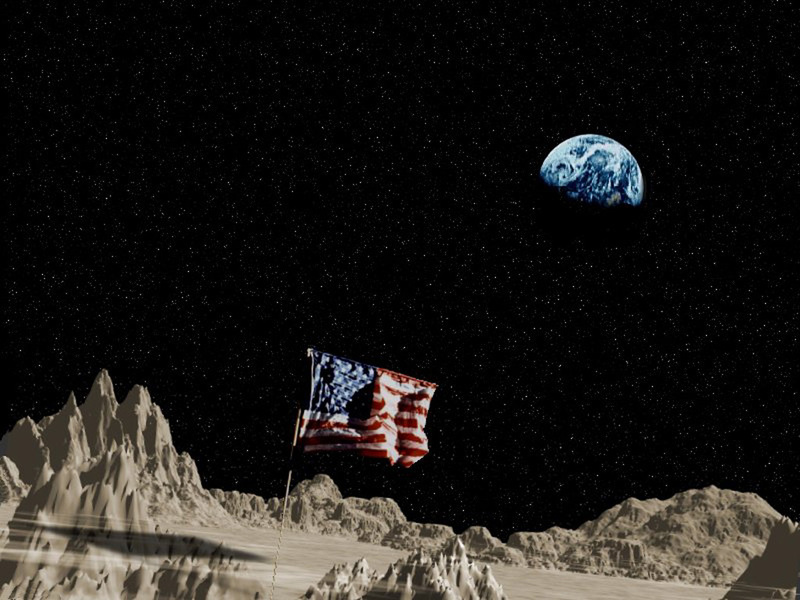 Interestingly, the flags that are still standing on the Moon, placed there by astronauts who walked far enough away for them to avoid being knocked over by the rocket blast, have all turned white. After being bombarded with unfiltered sunlight and radiation for more than 40 years, they have lost their red, white, and blue. What is this picture doing here?